She Bakes A Tray Of Marbles In Her Oven And Then Pour Them Into Ice Water. The Results? Amazing, Such Cool Jewelry! This is also such a great way to make your own unique jewelries. 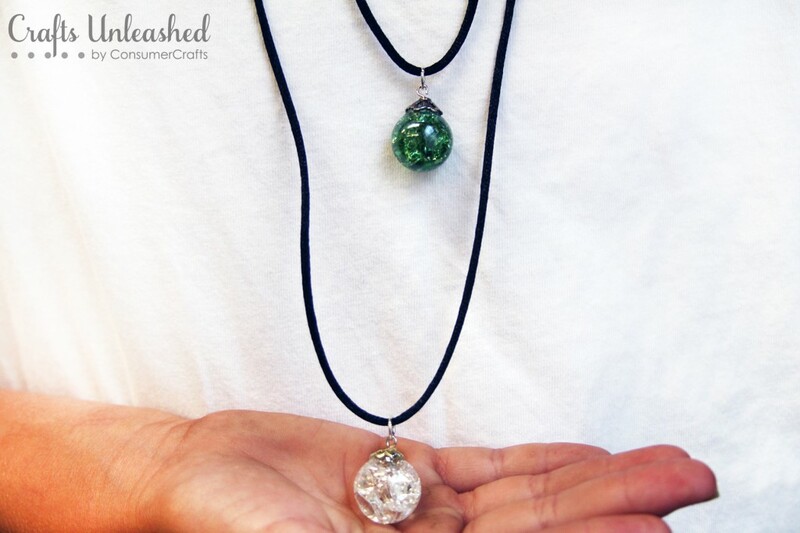 This inexpensive yet extremely elegant necklace is made by baking and internally cracking ordinary marbles. The ending effects are just amazing. You can make a few as gifts. You will receive plenty of wonderful compliments. Assorted marbles (different sizes and colors) – clear glass ones are best! Put your marbles into the pie plate and place the plate into a pre-heated 500 F oven for 20 minutes. There might be a few that will crack in half while you are heating them up. This is O.K. and perfectly normal. Prepare your large bowl of very cold water and add a few ice cubes. Remove the marbles from the oven after 20 minutes.Then carefully pour them directly from the pie pan into the ice cold water. Let them cool for about a minute. 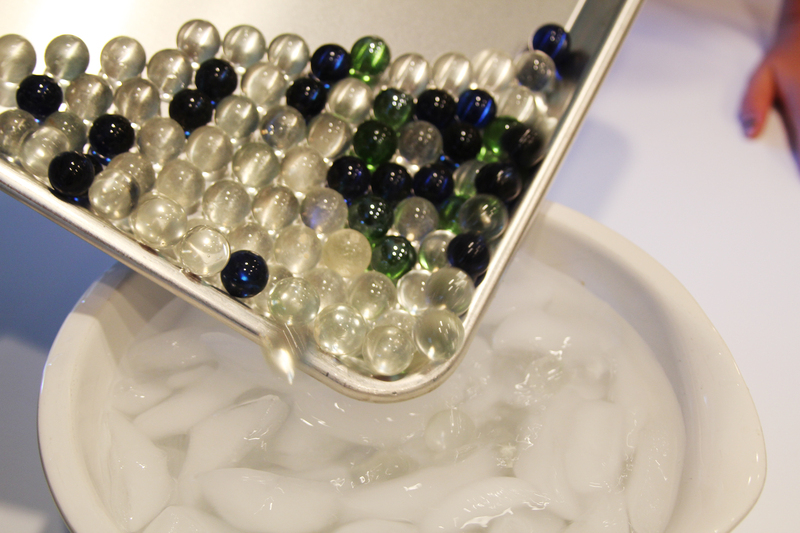 Remove the marbles from the water and dry them. 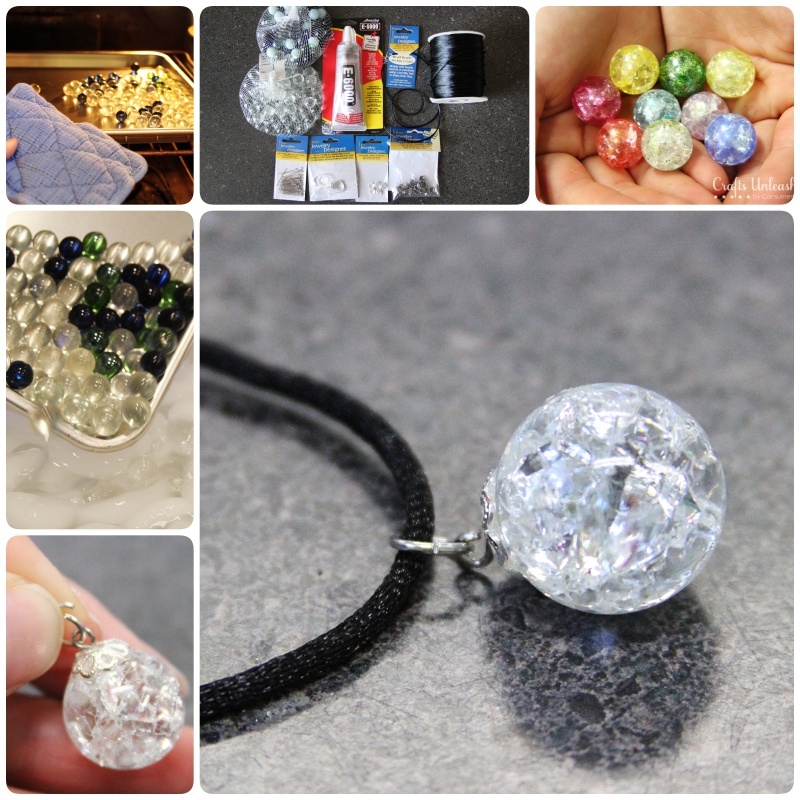 Glue ball cap, eye pin and jump rings to make necklace. Enjoy!